Identify the mold from water damage can actually be quite tricky. That’s because signs of water damage are mostly hidden like under the floor boards, on exterior or behind the walls. These are the situations that need to be taken care of carefully because not only do these destroy the exterior but also cause some health risks for the occupants. Color mold is easy to identify but there are also some types of mold that need extra attention to identify. In general, it can take on different smells, textures and colors depending on the location of the water damage. Ceiling water damage for instance is easier to identify that the basement water damage because ceiling discoloration and stains are very easy to spot. This one particular sign is the most obvious sign of water damage that causes mold. 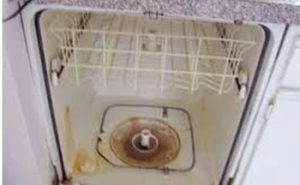 Water accumulation usually results from malfunctioning or old appliances like toilets, water heaters and washers. 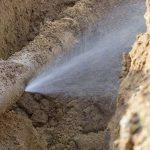 But it can also result from drainage pipes or leaking roof. The ceiling mold from water damage is very easy to identify as it causes obvious discoloration, stains and water spots. Area around the mold tends to be wet and have certain colors like copper, brown or yellow. Moreover, there is also peeling, cracking or bubbling paint in addition to the staining. Change in texture is another obvious sign of mold from water damage that happens on the floor. It is caused by water seeping into areas underneath the floor boards. There are some variations on the changes in texture in general. 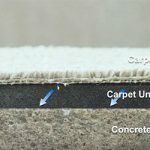 For instance, there is a warping which refers to change caused by temperature and humidity changes and results in curling at the edges or gaps between the floor boards. Buckling is change in texture occurring in wood floors that happens when one side of the floor becomes detached. As a result, it faces upward. Sagging is another change caused by rotten wood. It is usually due to accumulation of water seeping into the subflooring. Expansion refers to expanded laminate and wood floors due to too much water absorption. Mold always has odors including the non-color ones. 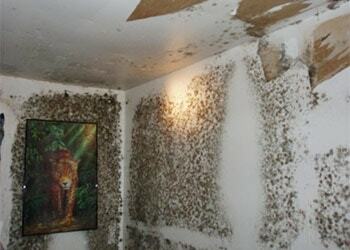 When the mold issue is in the beginning phase, the odor is very mild that the occupants sometime ignore the signs. 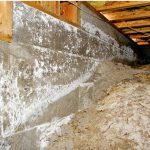 Usually, the odor gets stronger when the mold occurs in a place with low air circulation like in the basement. 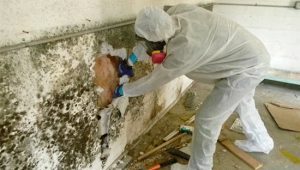 Inside the house or apartment, there are some places more vulnerable to mold and water damage than other places. The ceilings for instance, may have mold due to various sources like leaky roof, cracks in floorboards or burst pipe. Walls are also vulnerable but luckily the signs are easy to spot. The mold on the floors is common due to overflowing bathtubs or sinks, bad pipes or flood from faulty appliances. Mold is also common on exterior especially due to poor house maintenance. Knowing the common places of mold definitely makes it possible to identify the mold from water damage. 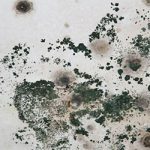 Related Posts of "Identify the Mold from Water Damage from the Signs"